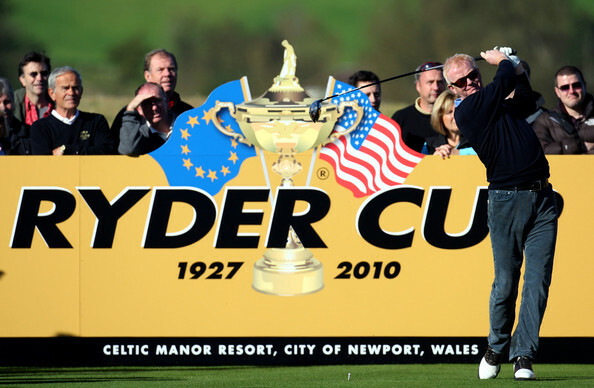 The 2010 Ryder Cup begins today at the Celtic Manor Resort in Wales. If you don’t know much about the Ryder Cup, it is golf’s biggest team format event, pitting the best players from Europe against the best players from the States. The bi-annual tournament was won by the American’s in 2008, although the US hasn’t won on European soil in 17 years. While the European team may have several players that aren’t exactly household names — Martin Kaymer, Graeme McDowell, and Ross Fisher, just to name a few — this is by far one of the strongest European teams in recent years. I hate to be unpatriotic, but my prediction is that the US will get crushed. Sure, Tiger isn’t playing his best, but I bet you he plays well. He won’t be the problem. The format of the event is a bit screwy — today and tomorrow you will see best ball and alternate shot formats, followed up by head to head singles matches on Sunday. This is far and away golf’s most pressure packed event, and one of the most intense events in all of sport. If the matches get close, I’d definitely recommend tuning in on Sunday. It was certainly an interesting week at the US Open, as Tiger Woods, Phil Mickelson, and Ernie Els played themselves into contention then straight out of it. 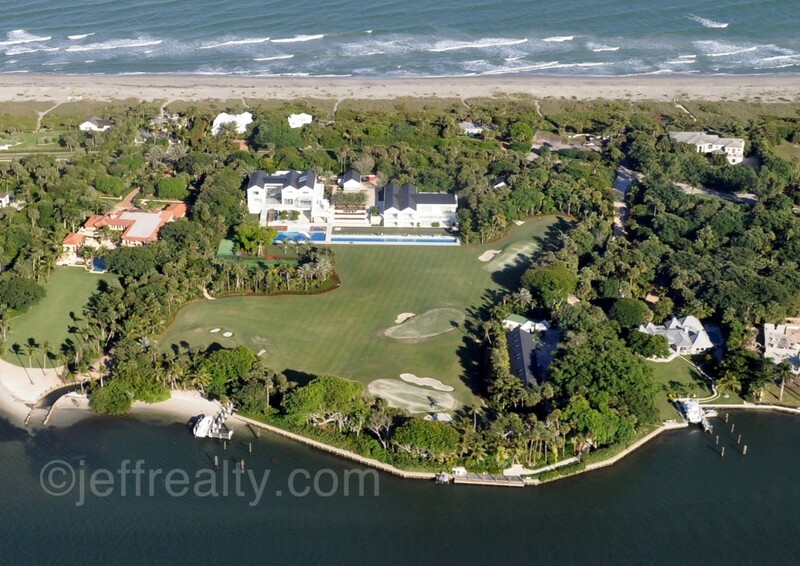 An Irishman, Graeme McDowell, took home the trophy after firing a 74 in the final round. McDowell is another major winner who has non-obsessed golf fans scratching their heads and asking — who the hell is this guy? But I can assure you, he’s a legit player — while he’s not a big name in the US, he has one 5 times on the European Tour is ranked in the top 40 players in the world. 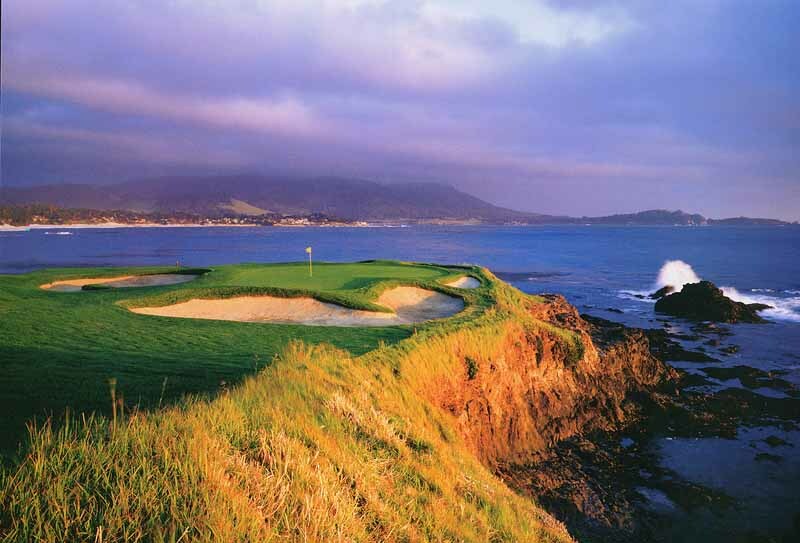 1) Pebble Beach is the winner of the week. It tormented players, yet not one complained — good shots were rewarded, while bad shots were severely punished. The winning score was Even par, exactly as it should be at the US Open. 2) Tiger’s still got it. It’s in there, but might take a little more practice to get out. While he struggled most of the week (yet still came in 4th, which should tell you something right there) he found his swing on the back nine Saturday, making six birdies to get himself back into contention. 3) Tiger Woods means everything to the game of golf, still. I cannot remember a final round of a major championship that I did not watch in full. I turned this year’s tournament off when Tiger dropped to 6 six shots back on the back nine. If I am turning the TV off because Tiger is out of contention, the average golf fan turned the TV off 2 hours prior. Tiger rules. A final thought — wouldn’t it be cool if Tiger’s wife gave him divorce papers and told him he had to sign if he didn’t win the British Open at St. Andrews? Now that’d be some pressure — I’d love to see how Tiger would react. 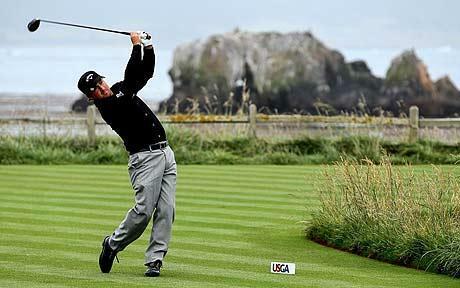 The 2010 US Open golf tournament starts today at Pebble Beach. I have not been to Pebble but from what I have seen on TV and from what everybody says, this has got to be one of the most spectacular golf courses on the planet in terms of scenery. Check out the picture above. 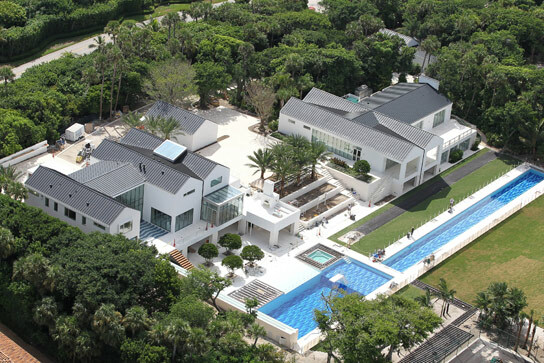 The course will be the story of the week unless Phil Mickelson wins (which would make him the new #1 player on the planet) or Tiger Woods wins for the first time since his car crash/golf club/extramarital affairs debocle. My favorites this week are Tiger and KJ Choi. Ten years ago at Pebble Beach, Tiger Woods put on the most dominant performance in the history of golf, winning the US Open by 15 shots over Miguel Angel Jimenez and Ernie Els. That week Tiger was 12-under par, with his two closest competitors at +3. In a career filled with dominance, being able to say this was easily Tiger’s finest performance is a no-brainer. Winning a major by 15 shots is WAY more difficult to do than say, Joe DiMaggio’s 56-game hitting streak. If Joe had hit in 100 straight games, then maybe the feats would be more comparable. 1) Tiger’s competitive spirit is there as much as ever. He’d rather divorce his wife than give up the World’s #1 ranking to Phil Mickelson this weekend. 2) Things have been relatively quiet in Tiger-Land for the past month or so. I’m sure he’s been practicing. Alas, there are still a few unknowns. 1) Has Tiger been successful in working on his swing without swing coach Hank Haney? 2) Has Tiger truly been practicing as much as he needs to be, or has he actually been focusing on his marriage? I hate to say it, but he can’t do both. Aside from Tiger’s track record of success at Pebble, are the facts that he is a SoCal kid who has always played well in Cali. Even more important, he’s been very successful on Pebble’s bumpy poa annua — which tend to torment less mentally tough players. 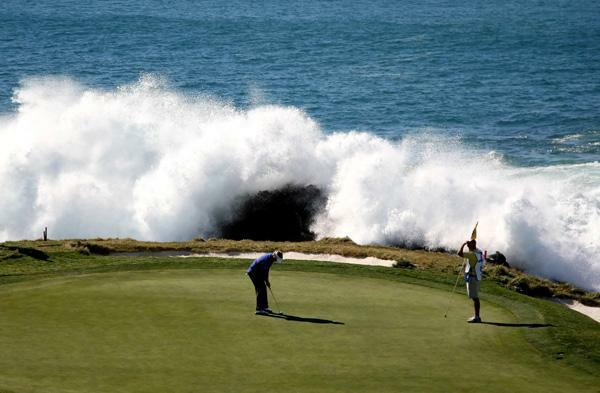 Pebble is still a course that demands patience, and demands that tough shots be pulled off if you want to stay out of the Pacific Ocean. So the question remains, which Tiger will we see at the US Open this week? I think the Tiger of old will be there.